Kazuo Ishiguro, the Japanese-born British novelist who in “The Remains of the Day,” ″Never Let Me Go” and other novels captured memory’s lasting pain and dangerous illusions in precise and elegant prose, won the Nobel Literature Prize. The selection of the 62-year-old Ishiguro marked a return to citing fiction writers following two years of unconventional choices by the Swedish Academy for the 9-million-kronor ($1.1 million) prize. Friday’s selection also continues a recent trend of recognizing British authors born elsewhere — V.S. Naipaul, the 2001 winner, is from Trinidad and Tobago; the 2007 honoree, Doris Lessing, was a native of Iran who grew up in Rhodesia (now Zimbabwe). 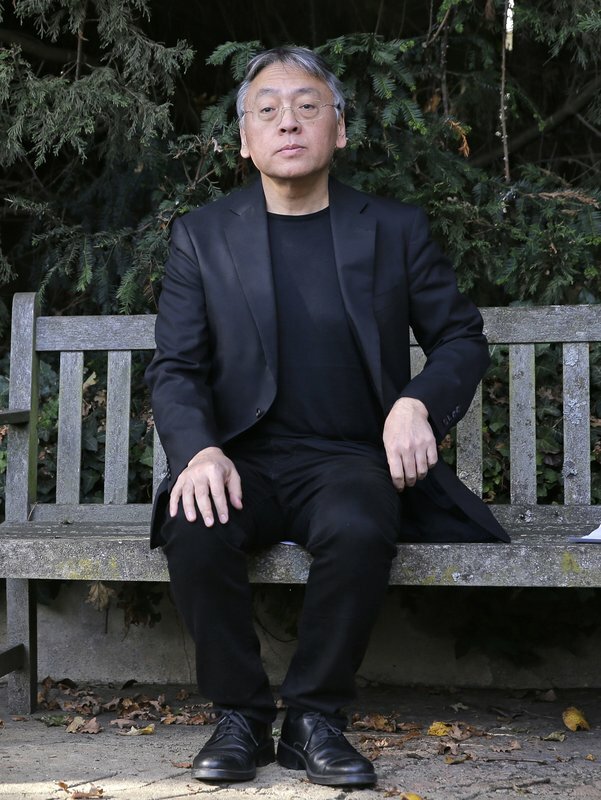 “Some of the themes that I have tried to tackle in my work — about history, about not just personal memory but the way countries and nations and communities remember their past, and how often they bury the uncomfortable memories from the past — I hope that these kinds of themes will actually be in some small way helpful to the climate we have at the moment,” Ishiguro said Thursday, speaking in his backyard in north London. Many know him best for “The Remains of the Day,” a million-seller published in 1989 and, thanks to the Nobel, in the top 10 Thursday on Amazon.com. Ishiguro’s novel reads like a darker take on P.G. Wodehouse’s comic Jeeves stories, with a butler at a grand house looking back on a life in service to the aristocracy. The gentle rhythms and “Downton Abbey”-style setting gradually deepen into a haunting depiction of the repressed emotional and social landscape of 20th-century England and the deadly rise of fascism so many failed to perceive or prevent. The 1993 film adaptation by the Merchant-Ivory production team starred Anthony Hopkins and Emma Thompson and was nominated for eight Academy Awards. Like “The Remains of the Day,” his 2005 novel “Never Let Me Go” is a story of deception and uncertainty. What appears to be a narrative of three young friends at a boarding school gradually reveals itself as a dystopian tale with elements of science fiction that asks unsettling ethical questions. The movie adaptation starred Carey Mulligan, Andrew Garfield and Keira Knightley. “I’ve always liked the texture of memory,” Ishiguro told www.writerswrite.com around the time “Never Let Me Go” came out. “Songwriting was an old passion of mine. Earlier in my life I’d been a singer-songwriter until I turned to fiction,” Ishiguro, who has called Dylan one of his early heroes, told the Independent in 2013. 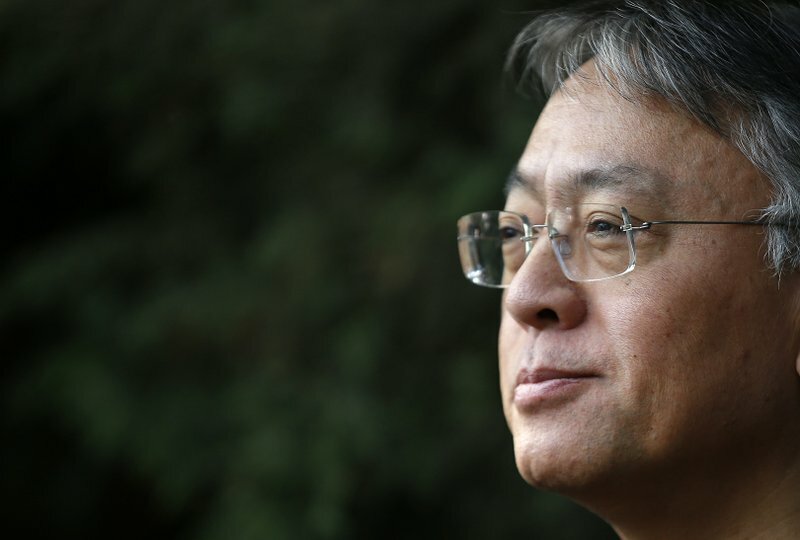 Ishiguro was born in Nagasaki but moved to England as a boy after his father, an oceanographer, was invited by the head of the British National Institute of Oceanography. An admirer of “Jane Eyre” from early on, he also is a longtime fan of comics and said Thursday that he was “in discussions” about working on a graphic novel. “This is a new thing for me and reconnects me to my childhood, my Japanese childhood of reading manga,” he explained. He studied English and philosophy at the University of Kent and found an early mentor in Malcolm Bradbury, who taught creative writing at the University of East Anglia. After a few false starts, Ishiguro completed his first novel, “A Pale View of Hills,” narrated by a Japanese woman whose daughter has committed suicide. Both his debut work and the Booker-nominated “An Artist of the Floating World” centered on Japanese characters. British novelist Kazuo Ishiguro speaks during a press conference at his home in London, Thursday Oct. 5, 2017. 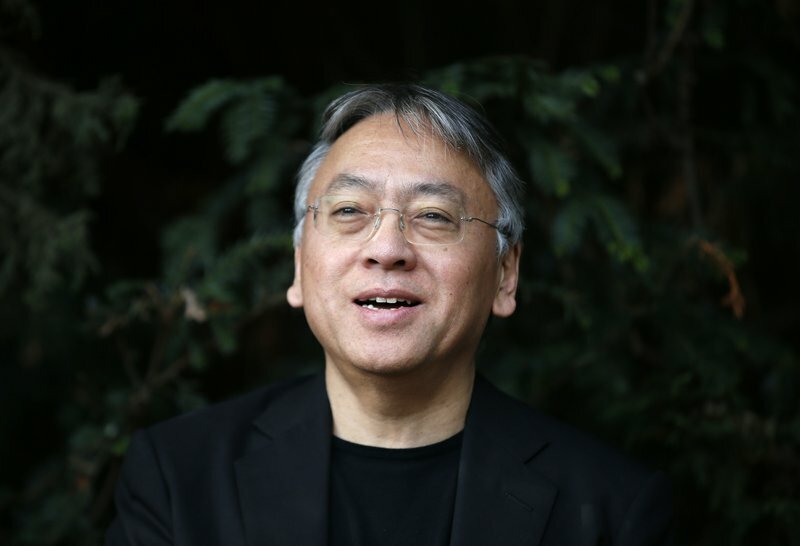 Ishiguro, best known for “The Remains of the Day,” won the Nobel Literature Prize on Thursday, marking a return to traditional literature following two years of unconventional choices by the Swedish Academy for the 9-million-kronor ($1.1 million) prize. 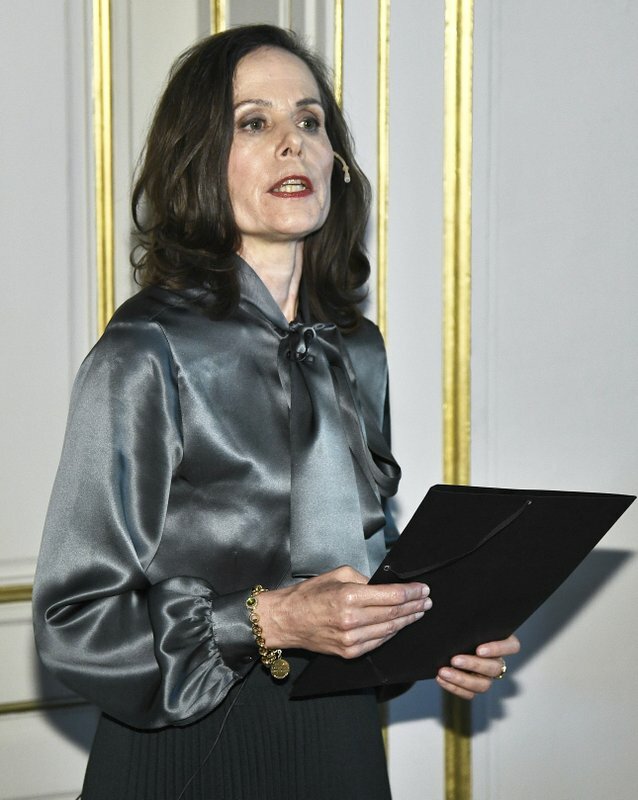 Sara Danius, Permanent Secretary of the Swedish Academy announces that British novelist Kazuo Ishiguro is awarded the 2017 Nobel Prize in Literature during a presser at the Grand Hall of the Old Stock Exchange in Stockholm, Sweden, Thursday Oct. 5, 2017. 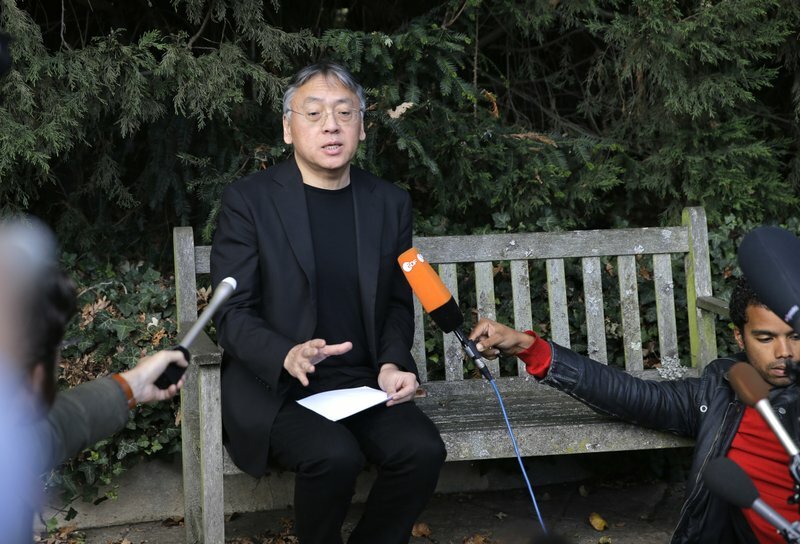 British novelist Kazuo Ishiguro during a press conference at his home in London, Thursday Oct. 5, 2017. 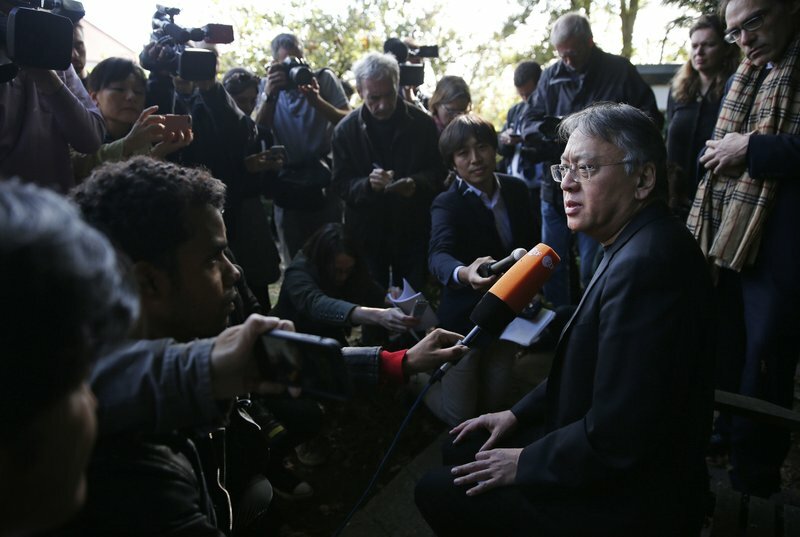 Ishiguro, best known for “The Remains of the Day,” won the Nobel Literature Prize on Thursday, marking a return to traditional literature following two years of unconventional choices by the Swedish Academy for the 9-million-kronor ($1.1 million) prize. 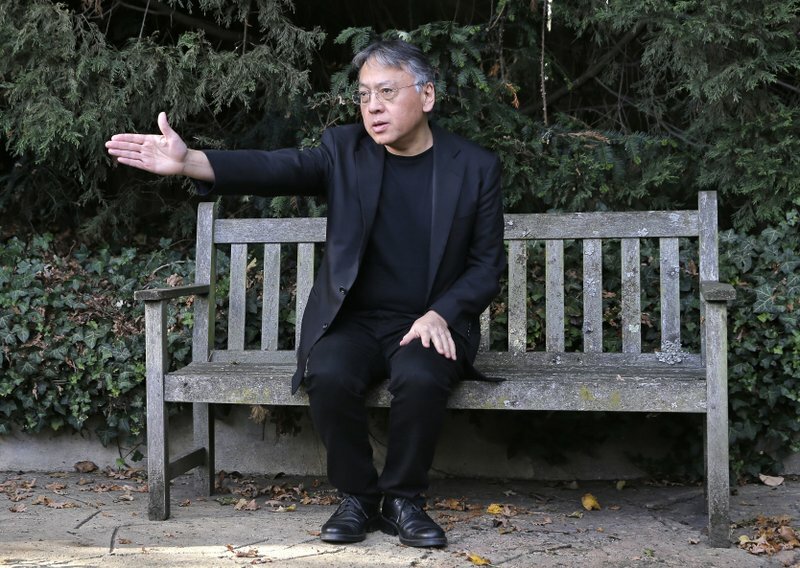 British novelist Kazuo Ishiguro gestures during a press conference at his home in London, Thursday Oct. 5, 2017. 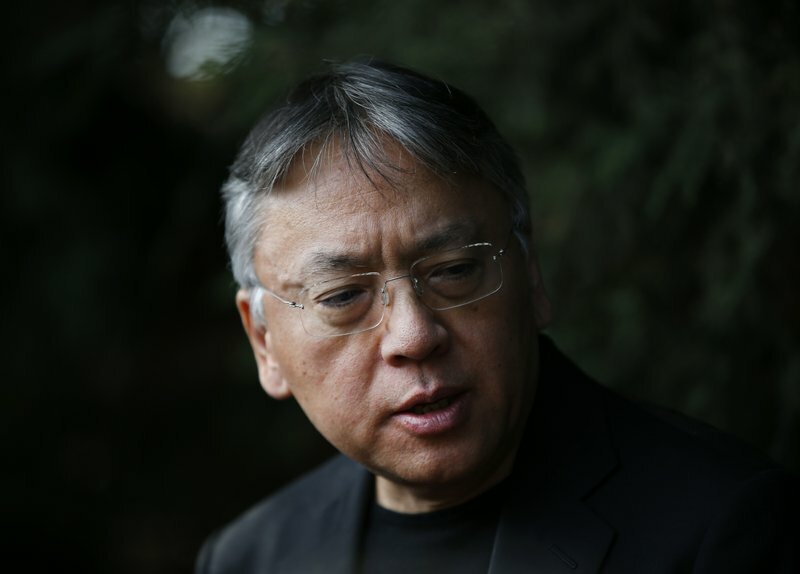 Ishiguro, best known for “The Remains of the Day,” won the Nobel Literature Prize on Thursday, marking a return to traditional literature following two years of unconventional choices by the Swedish Academy for the 9-million-kronor ($1.1 million) prize.